China Labor Watch reports (via Gizmodo) that thousands of Foxconn workers responsible for assembly of the iPhone 5 have gone on strike today, objecting to strict enforcement of increased quality control standards. According to the report, Apple and Foxconn had raised quality control standards to address issues related to scratching and other blemishes on the iPhone 5 casing, but the new standards made it extremely difficult for workers to produce phones satisfying those requirements given the equipment and training available to them. The issues have reportedly resulted in significant tensions between production line workers and quality control supervisors, with several skirmishes having broken out in recent days resulting in injuries and damage to production facilities. In addition, Foxconn reportedly eliminated holiday vacations for workers, perhaps referring to last weekend's Moon Festival, and the company has reportedly "turned a deaf ear" to worker complaints. 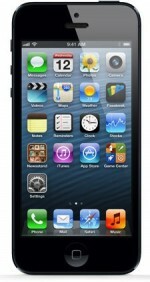 Apple and Foxconn have been struggling to keep up with demand for the iPhone 5, with new online orders through Apple still being quoted 3-4 week shipping estimates. Customers have also been complaining about scratching issues, particularly on the black model, with some customers reporting that their devices have arrived scratched right out of the box. We take our devices way too seriously. The Foxconn employees are not useless, lazy slobs. Lemons are commonplace in every market, and honestly- a few tiny scuffs are NOT A BIG DEAL. These are fellow human beings we are talking about. All the designing, engineering, and brain-storming will go nowhere without the workers actually assembling the phones. Forget the fact that this deals with the iPhone; this feels like we're possibly witnessing labor strikes in China. If this is a part of a worker's rights revolution, this could lead to a huge moment in history! i pitty and honestly feel bad for those people. i worked 4 weeks at a factory once and i just wanted to blow my head off. Bring the jobs back overseas. How's that slave labor working out for ya, Apple? Huge moment = when China's economy is ruined by public sector unions. I guess you still work for $2 an hour? No? This just made me feel really bad about complaining about the scratches on my iPhone 5. I can't imagine being one of those factory workers. Makes me feel like an ******. So many questions - did Apple create these demands before complaints or right after people opened up boxes and found theirs with nicks? Was Phil's response the typical Apple one "nothing wrong here - move along"? That being said - if the workers feel they are being mistreated - good for them for standing up for themselves. Bring those jobs back to America, Apple. Put the people to work here who buy your products. We have a saying here, in America we have no art...we do everything as well as we can.